I've wanted to record a collection of my original music for years, but I never got around to it. Perhaps it’s because there’s just so much interesting stuff to play, traditional material, standards, you name it. Geremia’s Wobble · This one is for Paul, a dear friend, an amazing musician and my 1930s Gibson flattop guru. He turned me on to the wonders of J-35s and Jumbos and I turned him on to Dale Fairbanks, one of the best modern builders in that style. I played this one on the 1935 Gibson Jumbo. Blind Willie’s Dream · Which Blind Willie? Who knows? Maybe all of them. Played on the Fairbanks L-00. Extemporé Rag · A bow to the classic Ragtime tradition of naming a tune for a place. The Coffeehouse Extemporé has been gone for over 25 years, and I still miss it. We had it pretty good back then. I like the way it sounds on the Hoffman Piccolo guitar so I’m sticking with that. Ocelia · Ocelia was my maternal grandmother’s middle name. I’ve never run across that name before and I’ve wondered why because I always thought it was a lovely name. I recorded the tune before, but this time it’s on the National M-2 baritone guitar where it belongs. 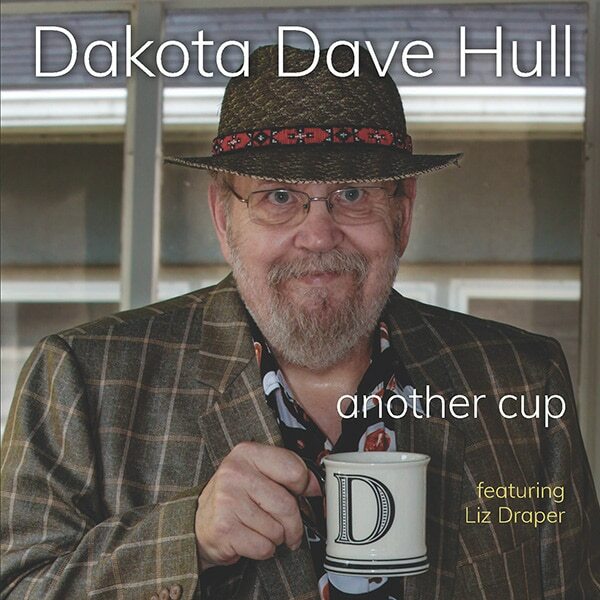 Will There Be Any Jug Bands in Heaven? · I sure hope so. This tune is for my friend Al Haug. I’m sure he’s playing jug up there right now. Jeff’s guitar-banjo was perfect for this one, so that’s what I used. The Second Chance · Originally written for my friend Sandy, this tune puts me in mind of a lot of folks I’ve gotten to know in the last eight years or so. On the Fairbanks J-35. Snaker’s Gone · For Dave Ray. This one sounds better on the baritone, too, so I used the National Style 1.5 tricone. 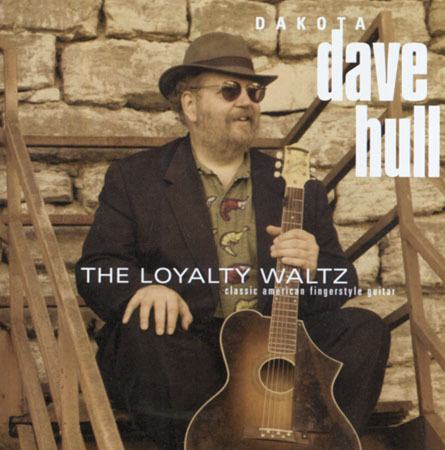 The Loyalty Waltz · This one is for all my friends. I played this one on the Hoffman Piccolo guitar. Wrong Road Waltz · Sometimes a wrong turn will lead you right. Or at least you’ll have an adventure. They say you’re not supposed to put two waltzes in a row. Well, why the hell not? The Fairbanks Nick Lucas was the right choice for this tune, I think. Darlin’ Willie · Darlin’ Willie was an awful guy, murdering women on both sides of the Atlantic, usually by stabbing or drowning, sometimes both. I’ve always wondered why the tunes to the old murder ballads are so pretty. I played this on the prettiest sounding guitar I own, the Hoffman Piccolo. 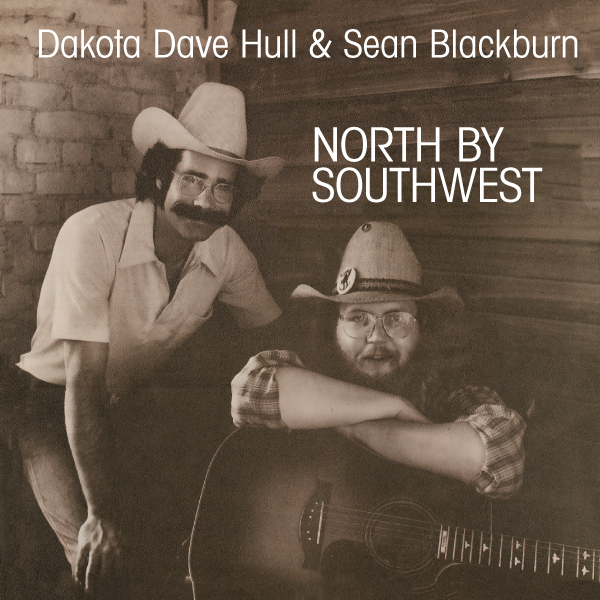 North by Southwest · I spent ten years making music in a duo with the late Sean Blackburn. This was the title of our second album, and now it’s the title of a tune. I dedicate it to Sean. It starts with a figure that’s evocative of Leroy Carr’s "Papa’s on the Housetop" and goes from there. (Sean was a Frisbeterian; their only belief is that when you die your soul goes up on the roof and you can’t get it down.) The Fairbanks L-00. Sheridan Square Rag · Written for Dave Van Ronk shortly before he died. He’s probably in that jug band also, or maybe a hotter one in a different locale. Dave encouraged my ragtime guitar efforts in a big way and I’m forever grateful for that and for the friendship. I played it on the Fairbanks J-35. Red River Tango (of the North) · For the folks who survived Grand Forks’ 500-year flood. 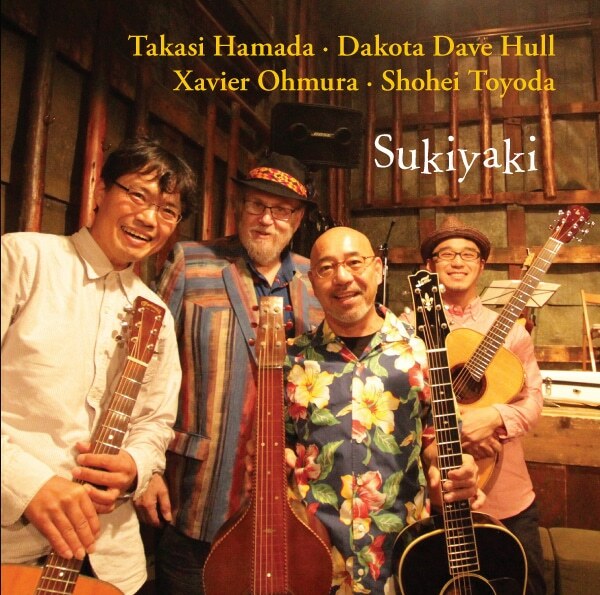 Dave: guitar (Fairbanks J-35); Joan: 7 string guitar; Kari: National ukulele; Patrick: accordion; Liz: bass. The Hink · This one is for Bill Hinkley. 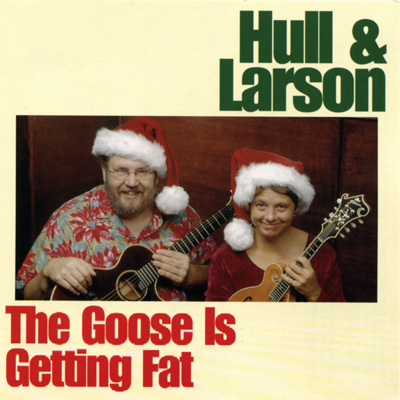 Bill and his wife, Judy Larson, did more for the music scene here in Minnesota than any other dozen people combined. I imagine he’s in that heavenly jug band, too. Dave: guitar (Fairbanks Jumbo) & guitar-banjo; Kari: National mandolin; Butch: piano; Kip: violin; Liz: bass. Leaf Drive Waltz · An autumn tradition in these parts. I can almost see the colors. Another great opportunity for the small bodied guitar to shine. Dave: guitar (Fairbanks L-00) & baritone guitar (National Style 1.5); Patrick: accordion; Jim: trombone; Liz: bass. 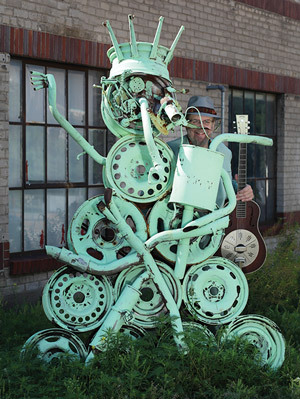 Larson Standard Time · A little three part rag with a nod to the great jug bands of Memphis, particularly my favorite, Jack Kelly and his South Memphis Jug Band. For Kari. Dave: guitars (Fairbanks L-00 & Gibson L-7); Kari: National mandolin; Liz: bass. Blair Mountain · In 1921, when miners in Logan County, West Virginia, attempted to unionize, mine owners hired private planes to bomb them from the air. This is the only time in history that Americans have dropped bombs on their fellow citizens. On orders from General Billy Mitchell, army bombers from Maryland were also used for aerial surveillance, perhaps the earliest example of air power being employed by the government against US citizens. Dave: guitar (National Style 1) & guitar-banjo; Kari: National mandolin; Kip: violin; Liz: bass. New Shirt · ‘Nuff said. Dave: guitars (Gibson L-7 and National Style 1); Kip: violins; Liz: bass. Sweet Thursday · I’ve always been a fan of John Steinbeck. Sweet Thursday was a sequel to Cannery Row, written after Steinbeck’s close friend Ed Ricketts died. It’s a sweet fantasy of how things could have been. Dave: guitars (Gibson L-7 & National Style 1); Liz: bass. 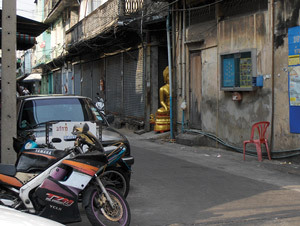 Buddha in the Alley · I was riding down a street in Bangkok, Thailand, looked to my left and there was a statue of the Buddha peeking out from a doorway. It made an impression. Fortunately I had my camera with me. Dave: guitar (Fairbanks L-00); Butch: piano; Jim: trombone; Liz: bass. First Snow · That moment when you see snow on the ground for the first time each year. Before you come to your senses. Dave: guitar (National Style 1); Kari: guitar (National Style N); Patrick: accordion; Jim: trombone; Kip: violin; Liz: bass. Wagner’s March · This one is named for my friend Pop Wagner. He’s an excellent musician, performer and human being. I sure am lucky to have friends like these. Dave: Hoffman piccolo guitar and guitar-banjo; Liz: bass. Twin Ports Rag · Coming over the last hill and seeing the city of Duluth, Lake Superior, the ships, and everything coming into view at once, I am never less than thrilled and moved. Dave: guitar (Fairbanks Nick Lucas); Butch: piano; Liz: bass. The Long Drive Home · I’ve had the opportunity to drive through all of the lower 48 states with my eyes open. There’s so much to see that’s every bit as cool as the Twin Ports view. Dave: guitars (Fairbanks Nick Lucas & Hoffman piccolo); Joan: 7 string guitar; Kari: National mandolin & National ukulele; Patrick: accordion; Liz: bass. Cam Waters’ Adieu · A farewell tune for my old compadre Cam Waters. 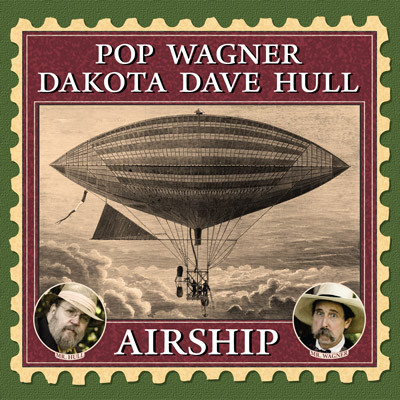 Dave: Hoffman Piccolo guitar; Butch: piano, Kari: National mandolin; Patrick: accordion; Jim: trombones; Kip: violin; Liz: bass. 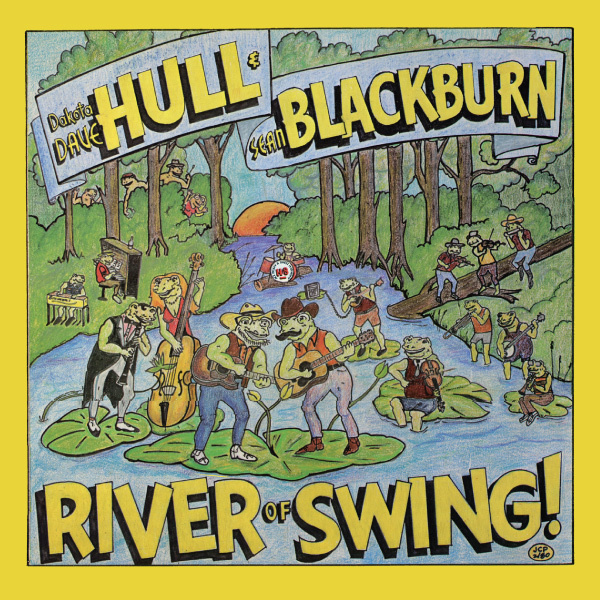 Will There Be Any Jug Bands in Heaven? 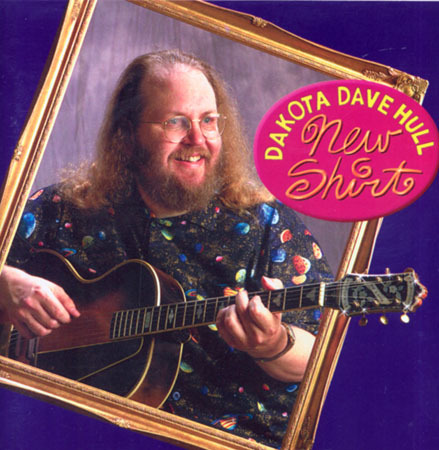 All tunes composed by Dakota Dave Hull except First Snow by Dakota Dave Hull & Kari Larson. 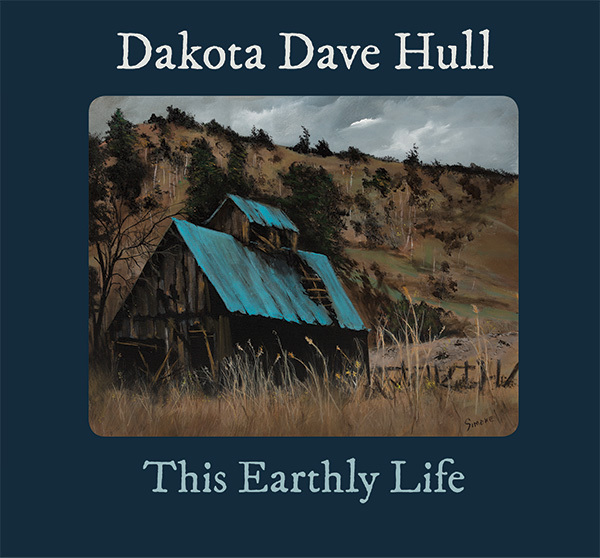 Photography by Dale B. Hanson, except Buddha in the Alley and Wrong Road photos by Dave Hull, guitar pegboard photos by Nick Lethert. 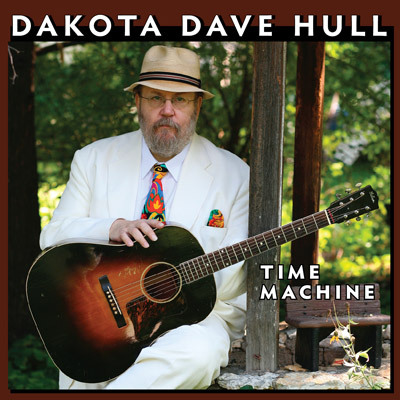 Dakota Dave Hull plays and endorses Hoffman Guitars, National Reso-Phonic Guitars, Fairbanks Guitars, New Era Guitars, John Pearse Strings and Waverly tuning gears. There is still some good stuff being made right here in America. Dave also uses and endorses Karura Cases and G7 Capos. Thanks to Jeff Tordoff for the use of his 1930 Vega Tubaphone guitar-banjo. What an amazing cool thing. I need one. Thanks, in no particular order, to Jerry Clark, Dale Hanson, Patty Harison, Jack Klatt, Jeff Molde, Cheryl Hall, Gloria Goodwin Raheja. Special thanks to Kari Larson. Special thanks to the Minnesota State Arts Board. 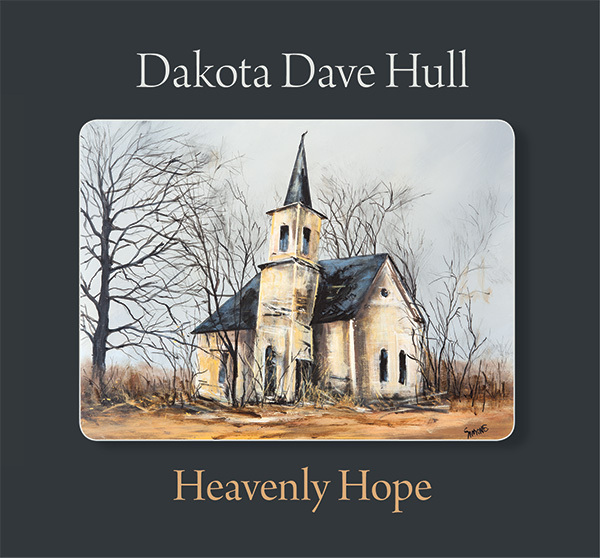 You could say, and nobody would contradict you, that the artist currently known as Dakota Dave Hull–well, actually, he’s been known that way for four decades or so–is a legend in many more minds than his own. But as I roll back years and memories, I pick up a psychic photograph of a wide-eyed, guitar-lugging high-school kid in a dimly lit coffeehouse just off the campus of Concordia College in Moorhead, Minnesota. It was the mid-1960s, and we hung out–though not initially together–at Bleak House, a name bestowed upon the joint by some earnest English major. We were each hungry, ravenous even, for folk music. 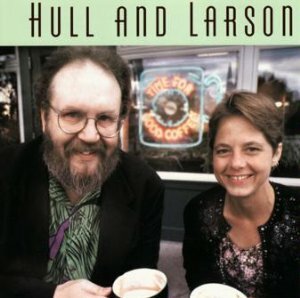 Though neither of us came from a family that paid any kind of music much attention, those old songs about ramblers, gamblers, cowboys, sailors, murderers, and false true lovers, first encountered in grade-school songbooks, later in Kingston Trio arrangements on the radio, struck deep into our hearts and imaginations. In the many years since then, Dave and I have tried to discern why that was, and we’ve whiled away hours idly conjuring up various hypotheses, none of them definitive, maybe all true on some level. What is certain is that they moved us as much as anything we would experience in all the time and existential turns and twists to come. It became clear soon enough that too much of it could not be had. Friendship was kindled at our first face-to-face conversation, which ensued because we were the only two guys who happened to be out standing on the Bleak House’s front porch on a pleasant spring evening in 1967. Ever since, we’ve been part of the furniture of each other’s lives. 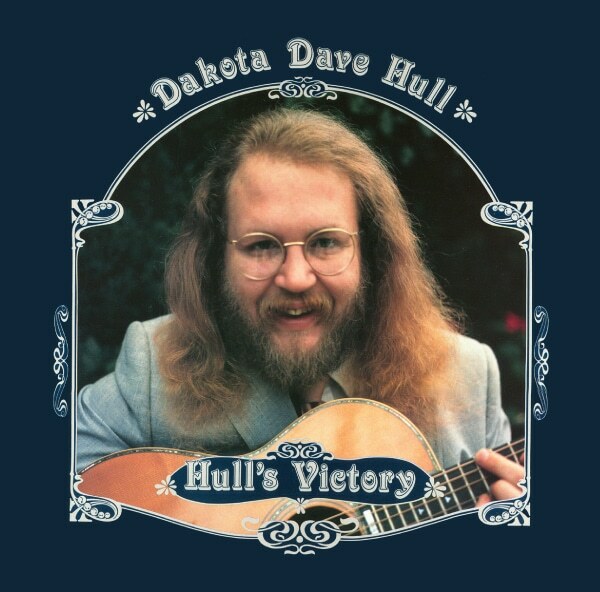 If not much of a guitar player in those days, Dave took an enormous innate gift and worked ceaselessly at it. In the course of his education, he also accumulated a sizable record collection. I was able at least to match him at the latter, compensation I guess for my utter lack of musical ability. In the meantime, I got to watch Dave become Dakota Dave Hull, one of the most revered acoustic-roots guitarists around, welcomed by the gods themselves to the Olympian heights where dwell the likes of Doc Watson, Norman Blake, Dave Van Ronk, Martin Carthy, John Renbourn, Duck Baker, Eric Schoenberg, Paul Geremia, and more. In other words, heroes who became colleagues and, even more gratifyingly, friends. 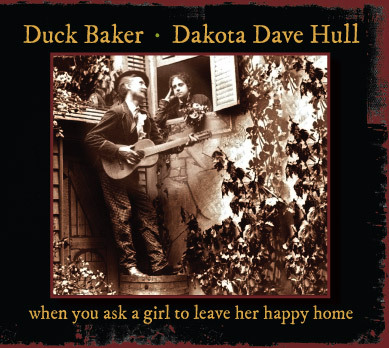 Dakota Dave’s unique style evolves out of a wide-ranging, unquenchable curiosity about the American musical tradition. That tradition starts, of course, in venerable folk strains, but it doesn’t end there. The more one knows that tradition–and few know it better than Dave–the more one hears its echoes in places one would not expect. 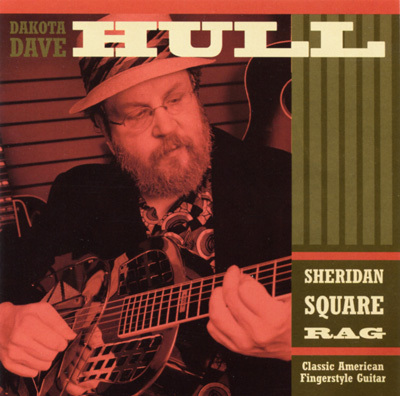 Over the course of his investigation, Dave has followed the tradition into big-city blues, swing (in Western and other geographical iterations), jazz, country, ragtime and classic pop, taking from each whatever serves his artist’s vision, without ever losing his grounding in the sounds that set him on the quest in the first place. At its core it’s the music of his youth, plus decades’ experience of adult life and listening. 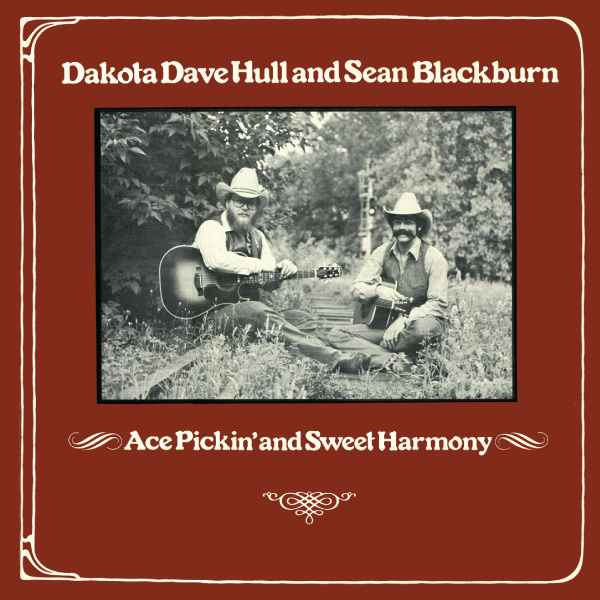 On his earliest recordings with the late Sean Blackburn – Ace Pickin’ and Sweet Harmony (1977), North by Southwest (1978), and River of Swing (1980) – Dave did some of the singing, not in a classically “good” voice but certainly in a serviceable one. A since-vanquished cigarette habit, however, would still the voice. 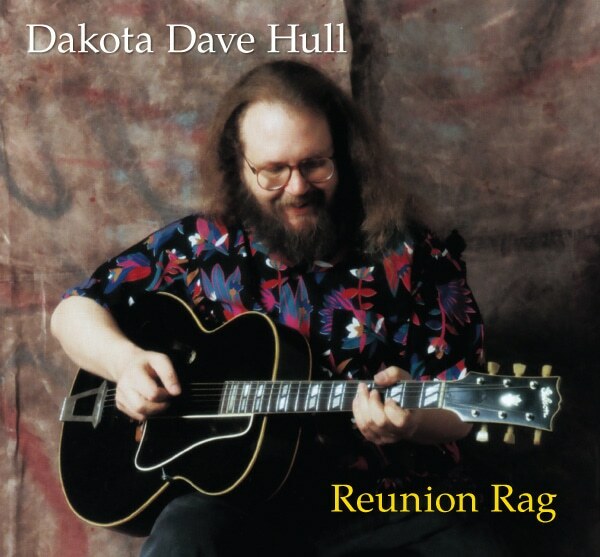 From then on, acoustic-guitar strings have done Dave’s singing for him. Not many performers in the clubs and small stages that serve as Dave’s principal venues can get by without songs, but Dave manages it with aplomb, and I don’t mean just among musical sophisticates who understand and appreciate the technical mastery. Not all that long ago, I watched him in concert in a tiny southwestern Minnesota town doing what he does in front of an audience that was manifestly entranced. He does the same in Ireland, Europe, and Asia, where he’s a regular on the roots circuit. Green’s remarks touch on something immediately apparent even to the least-practiced listener: the warmth in Dave’s playing, the impression of the openly conversational, the curious sense that one is listening to an unusually accomplished storyteller speaking to you, sometimes seriously, sometimes cracking wise, but always sweeping you into the narrative. 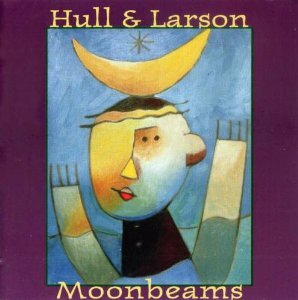 Sometimes the tunes are borrowed ones: brilliantly adapted folk pieces, rags, hymns, Tin Pan Alley ditties. 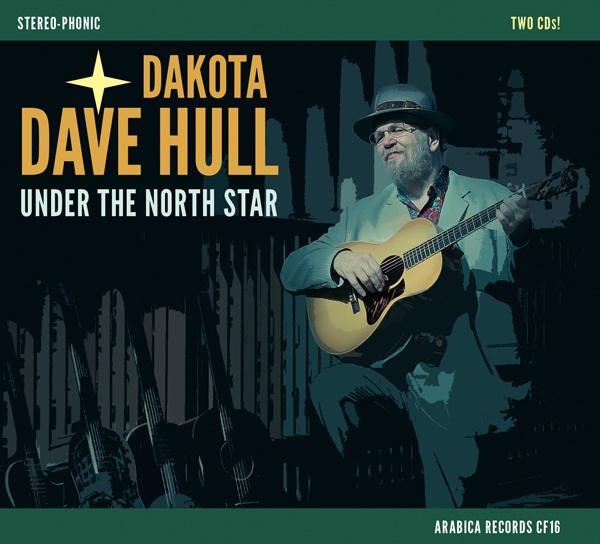 On the other hand, many–as is everything on the album you hold in your hands–are self-composed numbers formed out of Dave’s many intertwining influences into a whole that bespeaks knowledge, wisdom, and miles (both metaphorical and literal) traveled.